Jeanne Beck is an international educator with a passion for all things Japan. 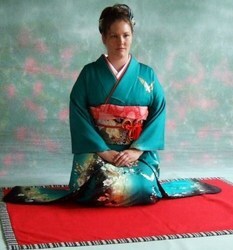 After graduating from the University of Missouri with bachelor's degrees in East Asian Studies and Education and studying abroad in South Korea and Japan, she joined the Japan Exchange and Teaching (JET) Program and spent three years teaching English at two high schools in Iida City, Nagano Prefecture, Japan, earning her master's degree in Teaching English to Students of Other Languages (TESOL) concurrently. She now works for the University of Missouri's International Center where she helps send Americans all over the world and is a big proponent for study abroad, work abroad and cross-cultural understanding.